In the West, a lot of people think cartoons are for kids. They’ve clearly never watched anime. Japanese animation has a rich tradition of adult-orientated shows with complex themes, gripping stories and more violence than your average episode of Game of Thrones. The kind of stuff that would give your average CBBC presenter nightmares, basically. ‘Getting into’ anime isn’t as simple as picking a random series and buying a DVD though. Here are our recommendations for anime beginners! Love The Walking Dead? Then you’ll probably love Attack on Titan too. Like TWD, Attack on Titan is tense, terrifying and packs more shocks into an hour than an electric chair on full blast. The series is based on a manga by Hajime Isayama and takes place in a world where most of humanity has been eaten by giants (known as Titans). Fortunately, the rest of humanity has managed to retreat behind big walls which keep the Titans out… until one day, they inevitably manage to get in. A young man named Eren sees his mother eaten before his eyes and later joins the military, vowing to kill all titans. Part horror, part war drama and part supernatural thriller, Attack on Titan is one of the best anime series in years and a great way to start your anime adventure. We’ve teamed up with the lovely folks at Manga Entertainment to offer the Attack on Titan Series One boxset with one of three exclusive stickers. Click one of the links below to buy it on DVD or Blu-Ray! Ghost in the Shell is one of the most popular anime movies ever, winning widespread acclaim across the globe and inspiring countless movies, including The Matrix. The film, set in a world where humanity is interconnected by a single computer network and can transfer their consciousness to ‘shells’, follows a counter-terrorist organisation as they investigate a hacker called ‘The Puppet Master’. It has spawned numerous sequels, including Stand Alone Complex. Like the film, Stand Alone Complex follows a group of elite cybernetic law enforcers as they investigate cyber-terrorism cases, political corruption and a super hacker known as ‘The Laughing Man’. It also explores humanity’s relationship with technology and identity in a world where man and machine are essentially the same thing. It’s deep and complex, with plenty of exhilarating fight scenes and action sequences too. You might be familiar with this one already, as it was broadcast extensively on Cartoon Network and Toonami in the early 2000s. Don’t dismiss it as a kids show, though; the uncut version is much more adult. If you’re not familiar with the series, it’s basically like a hyperactive intergalactic version of Street Fighter, with various spiky-haired heroes throwing huge fireballs at each other. That doesn’t fully do it justice though, with a strong focus on family and the supernatural thrown in for good measure too. Dragon Ball Z follows a chap named Goku, a Saiyan originally sent to destroy humanity but who now protects it from extra-terrestrial threats – including his own brother. Think of him as a cooler Superman. The series features fight sequences that put the latest wave of superhero movies to shame, with plots deep enough to keep you interested when the characters aren’t scrapping or getting so angry their hair turns yellow (which is known as going Super Saiyan). You might also want to check out Dragon Ball Z Kai, a remastered version of the series released to celebrate Z’s 20th anniversary. Naruto is another series you might be familiar with thanks to its popularity with Western audiences. The series is based on a beloved manga and follows a young ninja who wants to become the Hokage, the leader of the village and the best damn ninja around. Which is more or less what all of us aspire to be secretly, right? As you might expect from an anime about killer ninjas, Naruto has a lot of great fight sequences. It’s also quite light-hearted, with plenty of comedy moments to punctuate the sword fights and battles between good and evil. First things first: how cool is that name? Fullmetal Alchemist Brotherhood is the second series adapted from the legendary manga by Hiromu Arakawa, although the first series is an original storyline whereas Brotherhood is based strongly on the source material. FAB follows brothers Edward and Alphonse, the sons of a talented alchemist who abandoned them when they were young. When their beloved mother dies, the boys attempt to bring her back with alchemy. Things go wrong and poor Al is killed, but Ed manages to revive his soul and house inside a suit of armour. The two then venture into the capital city to become State Alchemists and hunt for the Philosopher’s Stone (no, not the same one). Like all good anime, Brotherhood is full of thrilling action sequences and gut-punch plot twists. But it’s also a quite touching drama about the power of family and the love between two brothers, which it turns out can survive even when one of them becomes a giant robot. Ready to watch some anime? 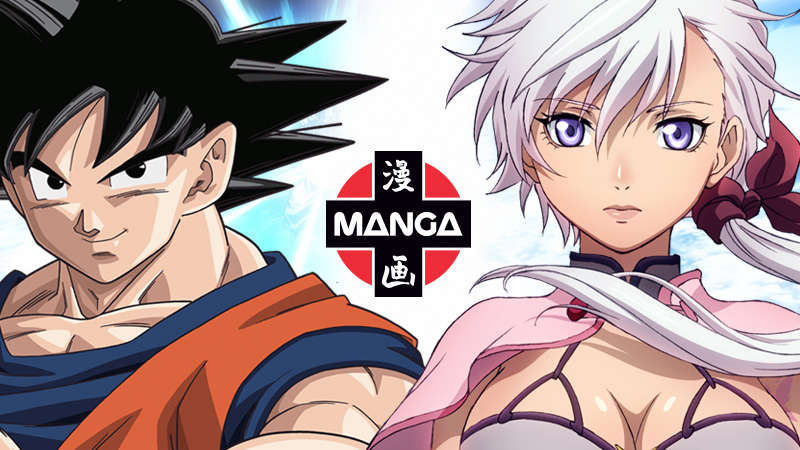 Check out our amazing collection of DVDs and Blu-Rays on the musicMagpie Store, brought to you by our friends at Manga Entertainment. Manga is a major force in bringing Japanese animation to the Western world, leading TIME Magazine to declare them “The Disney of Japanimation”. Click below to check out the full collection!